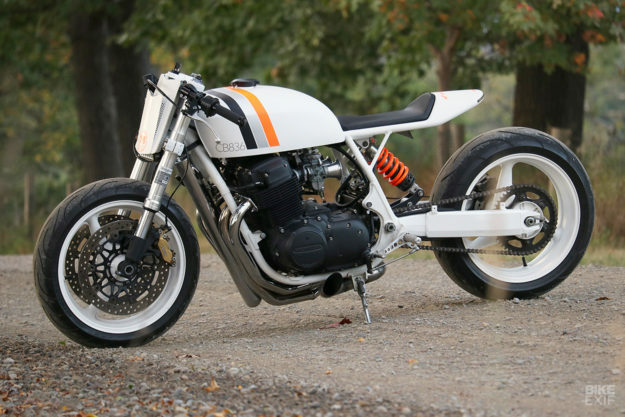 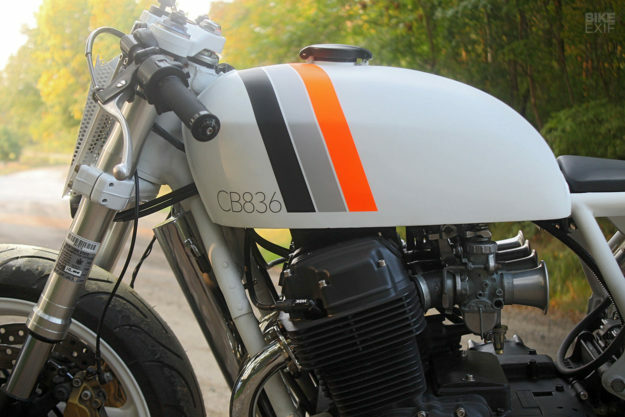 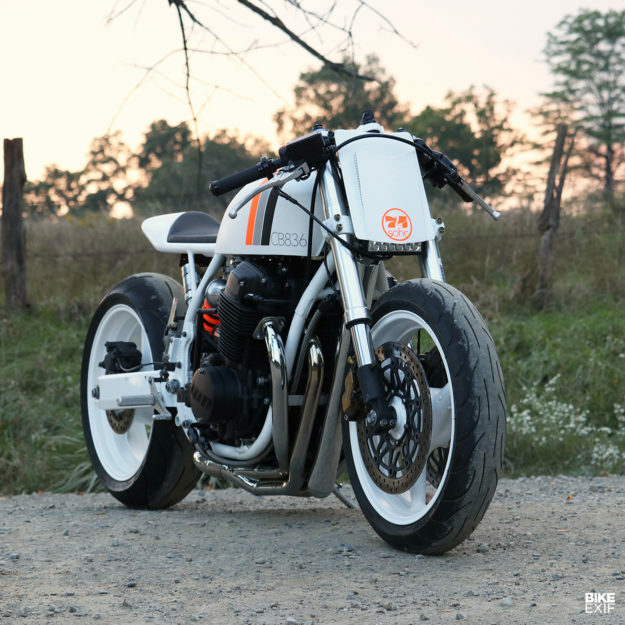 It takes a healthy imagination to create a good custom motorcycle. 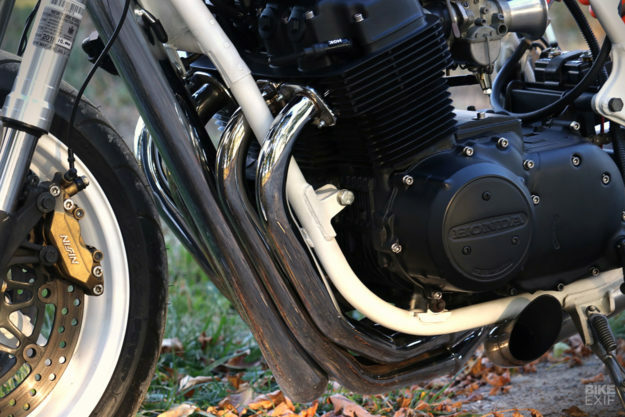 You need the ability to look through a stock bike and see its potential. 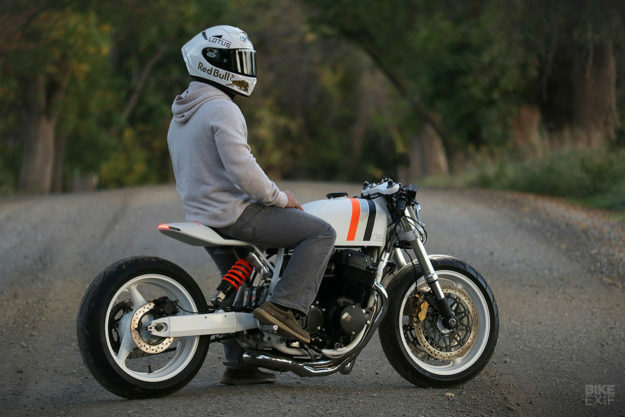 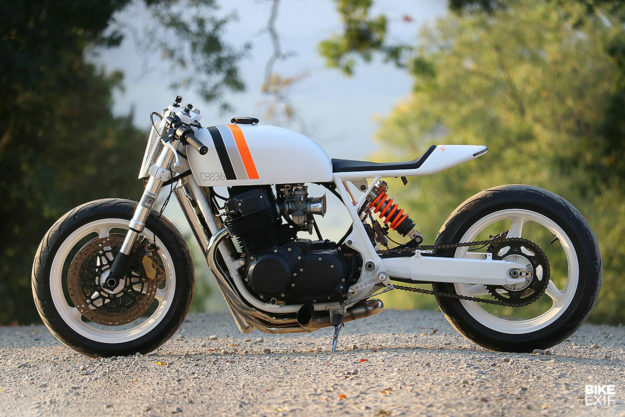 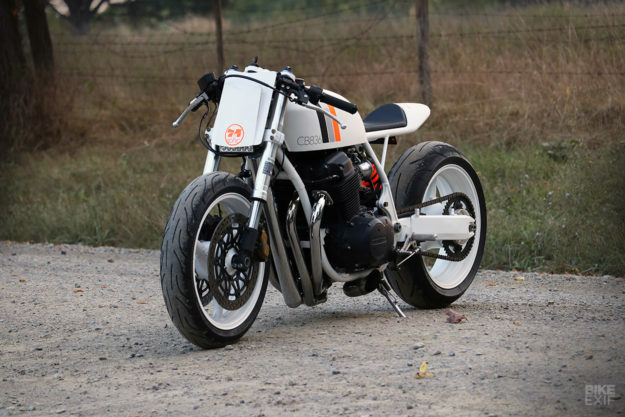 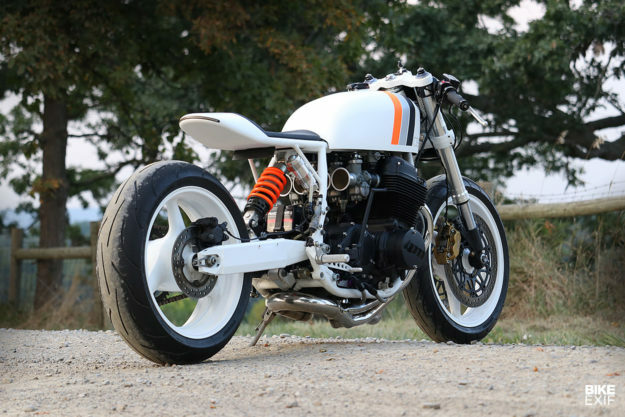 Or, if you’re Bryan Moses, look at a rusted pile of bits and visualize this brawny Honda CB750 cafe racer. 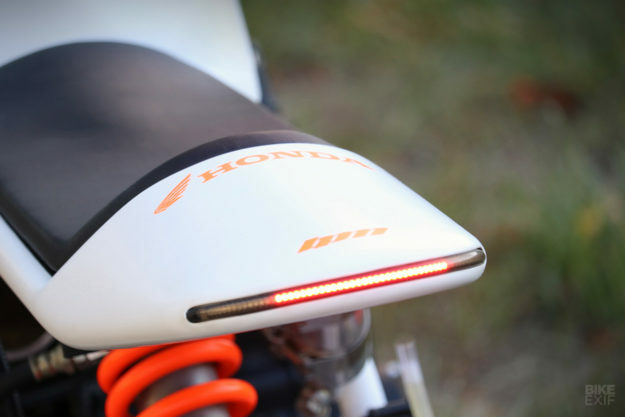 Headlight duties are handled by a small LED light bar, mounted to a hand-made number board-style shroud. 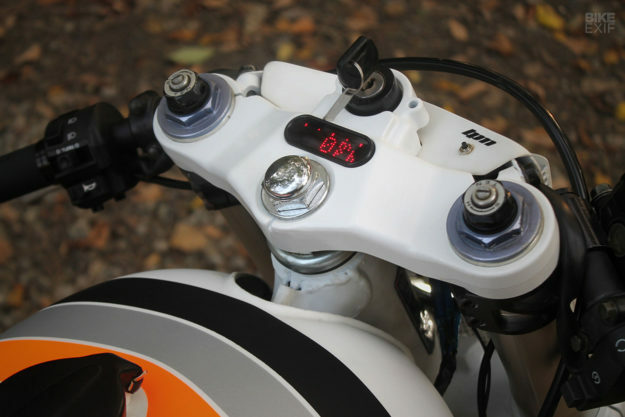 Just behind it, Bryan machined the top triple clamp to accommodate Motogadget’s tiniest speedo.